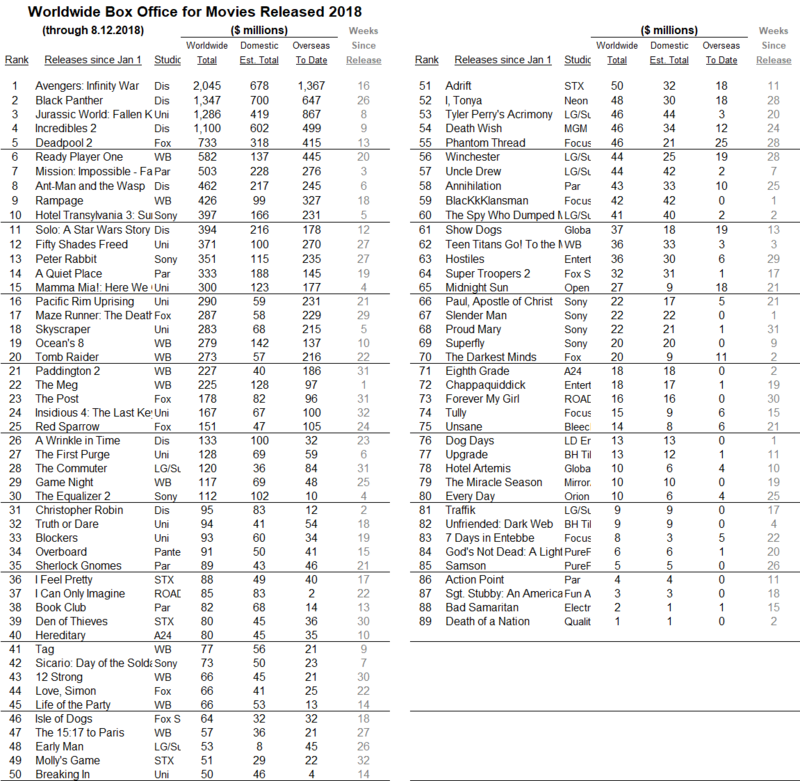 YEAR TO DATE BOX OFFICE. Looking at North American box office, 2018 to date is still +8% above last year and still +11% above the average for this point the past four years ($6.667 billion). 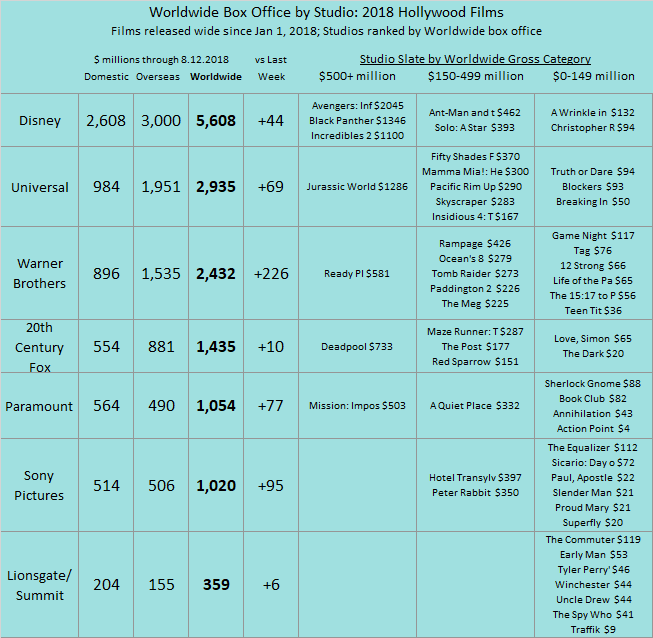 Over the same period, Hollywood films have grossed almost $18.3 billion worldwide when we add overseas box office (that’s now -1% below the comparable worldwide box office last year at this stage but +6% above 2016). The past six weeks in North America are now -2% below the same period last year and now -2% below the four-year average for the similar six-week period ($1.479 billion).